MV Agusta Brutale 800 competes with the likes of Kawasaki Z900, Triumph Street Triple and Ducati Monster 821. Italian motorcycle manufacturer, MV Agusta has launched Brutale 800 in India at Rs 15.59 lakh which is second 800cc offering in the country after the F3. 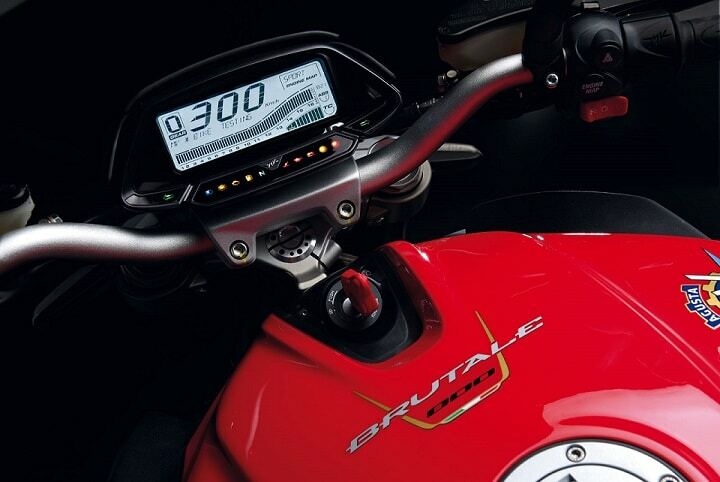 Unveiled globally at EICMA motorcycle show in Italy, the Brutale 800 is already available in the foreign market. Powered by an in-line 3-cylinder engine with a counter rotating shaft that churns out 110 hp at 11,500 rpm, the bike gets racing-type radical front calipers, 8-level traction control 3 ABS levels and engine braking control. The new Brutale 800 comes with full LED elliptical headlamp, three-pipe exhaust, concealed passenger handles, rear light and LED indicators. The instrument panel has also changed, with a new handlebar and the addition of the clutch pump and a renewed digital instrument panel. In foreign market, new Brutale 800 comes in three colour options – Black Matt Metalic/ Matt Silver, Pearl Ice White/ Matt Metallic Graphite and Red/ Matt Silver. There are four riding modes on offer - Rain, Normal, Sport and Custom. MV Agusta Brutale 800 competes with the likes of Kawasaki Z900, Triumph Street Triple and Ducati Monster 821.